Incorporating (and advertising) the relatively new filmmaking medium of Technicolor, The Adventures of Robin Hood (Warner Bros.’ rival MGM had the rights to the title “Robin Hood”) is probably the first genuine adventure epic in the vein of what we are used to today: bold, honest characters standing up for the good of all men in the face of greedy, evil ones, a beautiful maiden that steals the heart of every man both in the film and in the audience, a rich, much-detailed array of sets featuring exhaustible art-direction, and a gorgeously rendered score that brings out emotions for romantic parts, and heightens the suspense during scenes of great action. It stars the inimitable Errol Flynn as the title character, who portrays Robin as an endearing trickster, a deadly swordfigher and archer, and a handsome, dashing ladies’ man all rolled into one – the direct progenitor to leading men like Harrison Ford and Tom Cruise. His foil is Basil Rathbone, better known for his stoic, unflinching portrayal of Sherlock Holmes, as Guy of Gisbourne, the ruthless and nearly homicidal henchman of King John – smarmy, slippery and effete as only Claude Rains could play him. Modern filmgoers will know all they think they need to know of the Robin Hood story from the Disney imitation, the quite spectacular Robin Hood: Prince of Thieves (1991) picture, and the failed attempt at a re-realization that was Ridley Scott’s Robin Hood from this year, so I will state only that in this version the King of England, Richard the Lionheart, is being held in Austria. In his stead, slimy Norman King John and his pal Gisbourne are taxing and murdering the Saxon populace to such an extent that Sir Robin of Locksley and his pals are forced to go into hiding as outlaws, to “steal from the rich and give to the poor” until Richard’s return. Flynn’s Robin is a revelation in how the choice of casting the lead star can alter the entire film’s production. 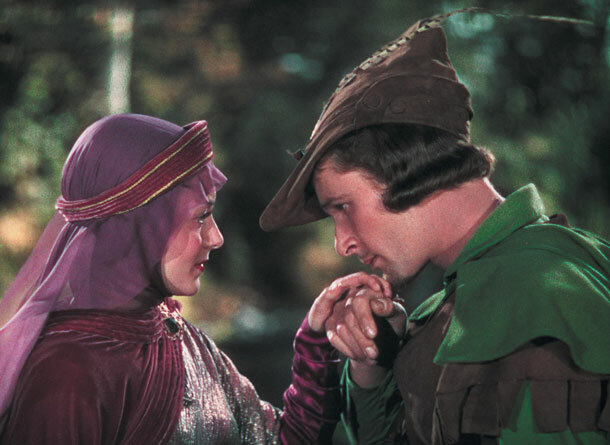 His athleticism, the quips and brilliant jests the script gives him, and the subtle but beautiful and emotive ways he romances de Havilland’s Maid Marian let him quite easily own the film. And the sets, both on the studio lot in Hollywood and in the forested canopy of Chico, California ( a better Sherwood Forest than Sherwood Forest could ever look like) are his playground. He romps, rides, skips, swings and dashes through it with all the masculine grace that only a bonafide star could achieve. But none of this could be as much of a success as it was without the magic of Technicolor, something I feel makes movies like Adventures and Gone with the Wind (1939) look less dated than ones released twenty years ago. 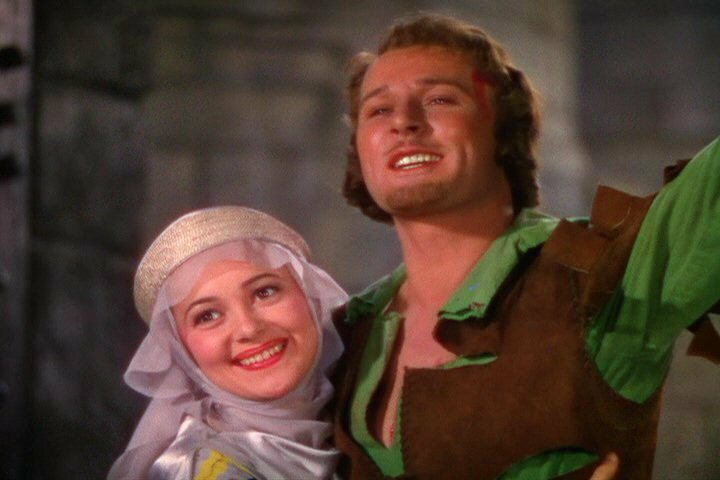 The brightest colors I have ever seen are reflected in the reds and blues of Norman flags and the bright green of Errol Flynn’s ridiculous tights. Everything is a revelation to view, and quite definitely is something that will never be able to be filmed again. It’s all too-easy to disregard the swashbuckling costume-laden fun of The Adventures of Robin Hood as dated, hackneyed and laughable – the sped-up swordplay more farce than suspenseful, the sets too lavish and the good/evil types too obvious and tacked on, but that mindset ignores the good fun of what a classic adventure story is. The Adventures of Robin Hood is seminal; the best production of its kind ever made. 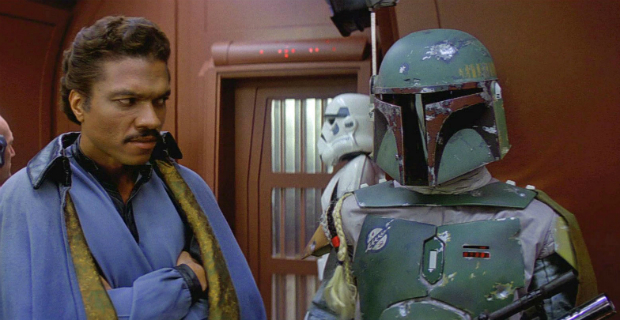 It doesn’t strive to be the epic it isn’t, it doesn’t fret about ignoring or suspending the myriad conflicting fables of Robin Hood through generations past, and it makes no apologies for its predictable plot and happy ending. An adventure tale should make you “ooh!” and “ahh!” at the vivid colors and stunt work, gasp at the beautiful, sensuous romance and should leave you with a smile on your face. In the dark-minded perception of our new millennial generation, negativity seems to parallel reality, and from the state of the world such a mindset isn’t a false one. But films are parables, are fantasy, full of the romance and comforts one can’t experience in real life. 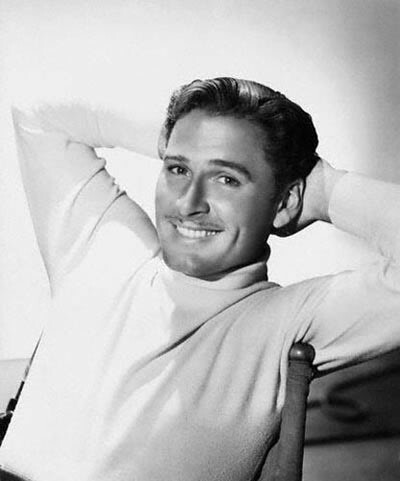 This is why people went to picture shows, to film parlors in the time of Errol Flynn, to escape harsh reality. Back then people praised filmmakers for giving them the fantasy and adventure, the romance and the happy endings they would never experience in their lives. Now those same filmmakers get accosted for suspending reality, for being predictable. 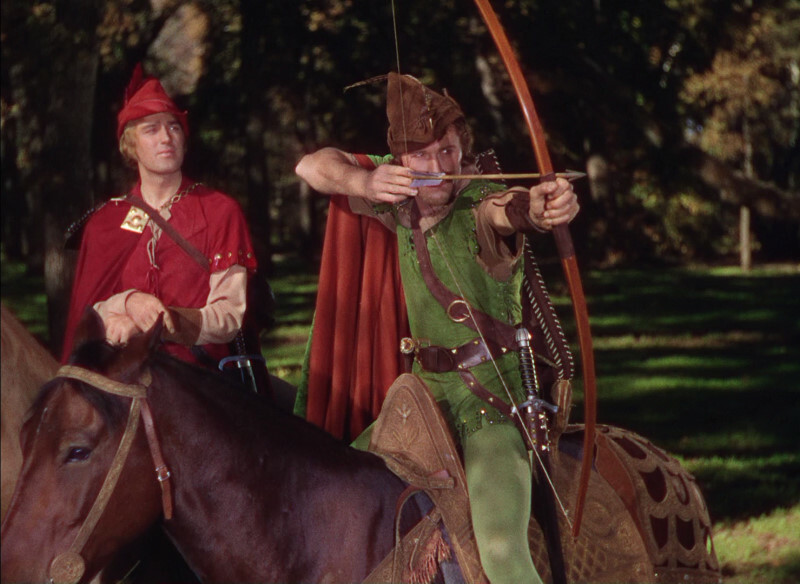 I for one yearn for a time that saw the creation of The Adventures of Robin Hood, when a film could be fun and entertaining without worrying about what realism it might be compromising.